In a reply to parliament questions dated 9 July, Singapore’s Minister of Manpower Josephine Teo ironed out some issues surrounding reduced salaries of those holding Work Permits (WPs). Teo stated that in the first half of 2018, a total of S$105,000 in Administrative Financial Penalties were imposed on 17 errant employers – i.e. actions have been taken against employers who reduced salaries without informing MOM or obtaining the Work Permit Holder’s (WPH) written consent. The ministry has also been monitoring salary disputes involving In-Principle Approval (IPA) salary reduction. The proportion of Work Permit Holder salary claims which involve IPA salary reductions was stable at about 7% over the last three years, but increased to about 11% in the second half of last year. MOM allows employers to revise the salary downwards, provided they have obtained the worker’s written agreement and have notified MOM of the revision. In the past three years, MOM was notified of salary reductions affecting less than 2% of non-domestic WPHs per year. 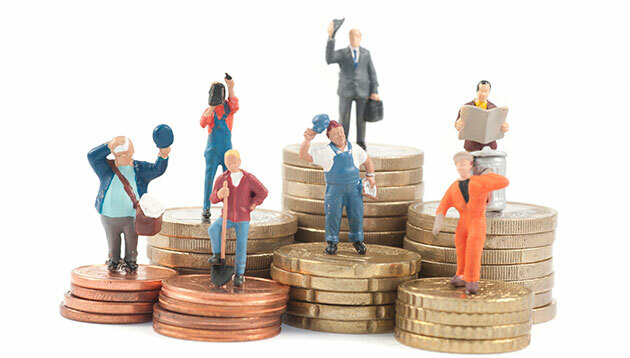 The Tripartite Alliance for Dispute Management (TADM) has insisted that employers provide documented evidence that the worker has consented to any salary reduction, since 2018. It no longer allows for arguments from employers that the worker had provided tacit or verbal consent. In addition, MOM is considering the possibility of disallowing downward salary revisions altogether. In another parliamentary reply, Teo informed on the proportion of jobseekers placed into jobs that are directly introduced by Workforce Singapore (WSG) and e2i, which has improved over the last three years. In July 2017, WSG career centres were upgraded to Careers Connect with an expanded suite of customised career matching services. WSG has also launched the MyCareersFuture portal to help jobseekers and employers perform smarter and faster job searches. In addition to career matching services, jobseekers can also tap on programmes such as the Professional Conversion Programmes (PCPs) and Career Support Programme (CSP). “WSG and NTUC’s e2i continually seek to improve the effectiveness of their services to jobseekers,” Teo stated in her written reply. Tying with Zurich, the city was beaten only by Singapore in a ranking which compared food and transportation costs across 133 citi..
Are you too fussy when hiring?